This rerelease of the Bulova Computron reinforces our love for retro sci-fi and charmingly antiquated visions of the future. Whether it’s Tomorrowland at the original Disneyland theme park or the cannonball projectile spacecraft of Jules Verne and Georges Méliès, there’s just something charming about antiquated visions of space age technology. 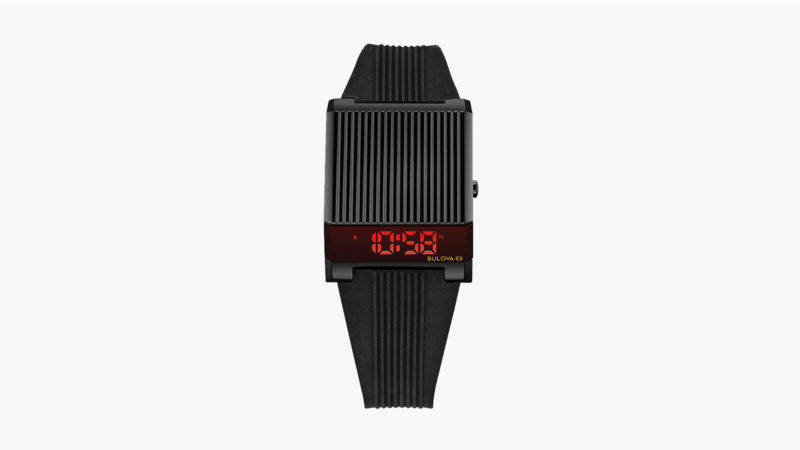 That’s why we love the Bulova Computron so much. When the original Computron dropped in the late 1970s, it offered a glimpse into a future that would never really arrive. 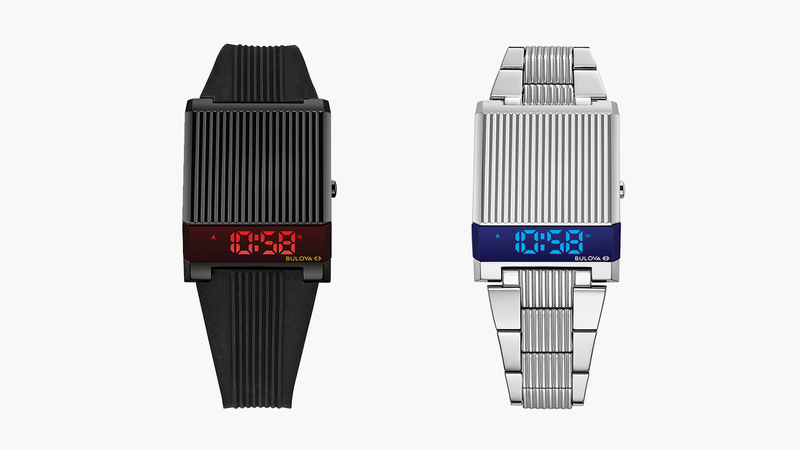 A retro sci-fi marvel, the recent Computron rerelease remains true in its essential design elements: the uniquely textured trapezoidal case with a slender angled window that displays the current time through a distinctive colored LED display. 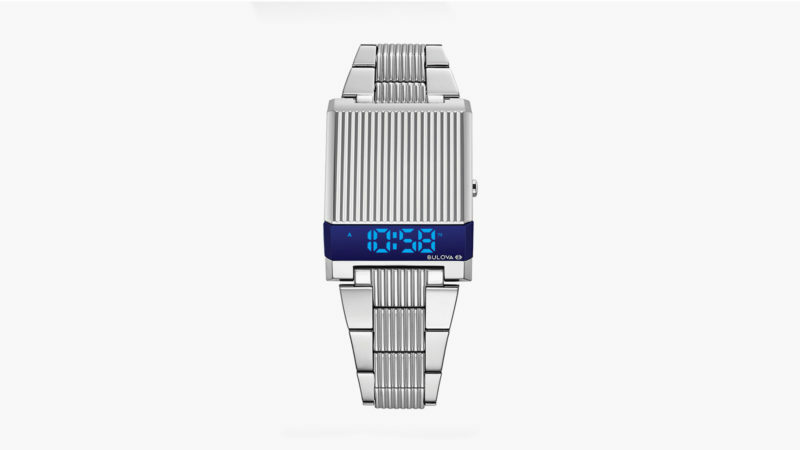 Unlike the original Computron, however, this version features dual time zone functionality as well as month, date, day, and seconds indicators. It also expands options in terms of colorways and material construction, allowing you to choose among a gold-plated model with red display, black model with red display, and stainless steel model with blue display.